When it came to inviting our guests for our wedding I never really took that much consideration to how I should go about it. The invitations and reply cards were the two that I focused on the most, but then I kept reading about save the date cards. At first I ignored them, thinking they were just going to cost more money or more time for us to spend creating them. I hadn’t heard anyone near me mention them and if they were that important, surely people would have told me about them. So, with me being me I decided to dig around a little and figure out what save the date cards were all about. Obviously they are to let your guests know the date when you would be married but why should I bother sending them when I am already sending invitations? After a few searches I found the answer to my curiosity – giving your guest enough time to plan ahead. Normally invitations are sent roughly 3-6 months prior to the date, but sometimes that isn’t enough time, either through location and travel or through work. Save the date cards can be sent in a year in advance to your guests giving them more than enough time to plan ahead. As we live in Scotland and the in-laws are south of England and most have busy schedules, sending these cards is something I have come to realise is the best thing for us to do. 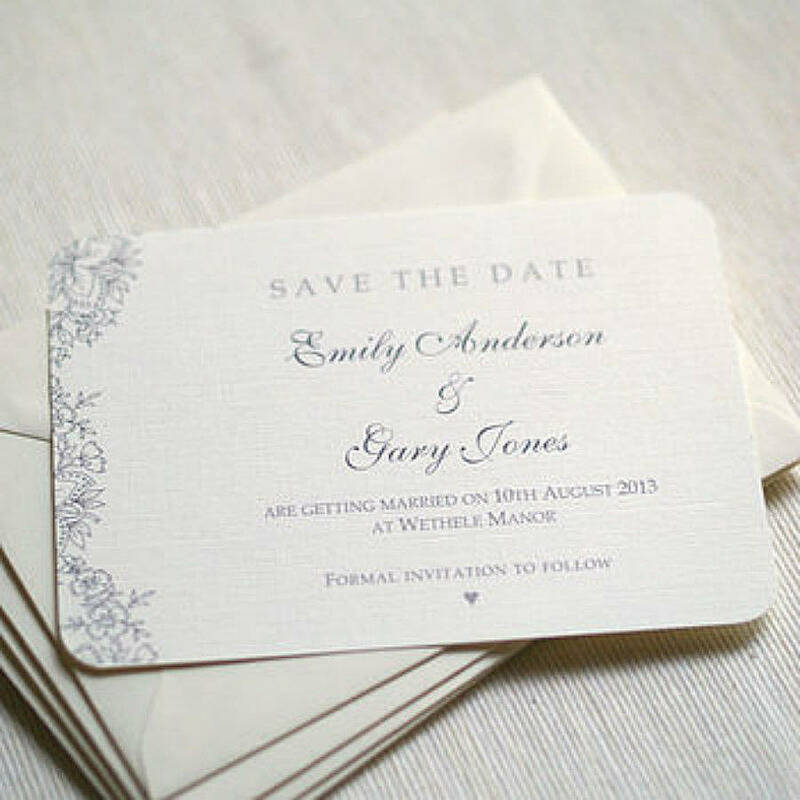 Save the date cards can be as detailed as you would like (images I found through google for an example), if you are having the wedding abroad or in a different location to where you live, it might be best if you include the location so they can plan on where they will be staying. From the very beginning partner and I knew what type of wedding we would want. As we are not Christian, never been christened or go to church we didn’t feel it was right for us to have the ceremony in a church. Although this may have pleased our families as they are Christian (apart from mother in-law who doesn’t have a religion, just classes herself as spiritual) it wouldn’t have made us happy.So what type of wedding are going for then? Pagan wedding or more so handfasting. As I do fall into the pagan category and my partner is spiritual it definitely seems like the right way to go. Handfasting is an alternate form of marriage ceremony. It dates back hundreds of years, and spans several cultures. In some cultures (as in the Scottish Highlands), it was a marriage of a “year and a day”. If at the end of the year, the couple found that they were incompatible, and there were no children, they could part. Otherwise, they could agree to remain together, and the marriage then became a legal and lifelong bond. We will be making it official or legal on the day as in other parts of the UK handfasting is not recognised as a legal binding, although in Scotland it is. (From what we have read so far). Handfasting is a very personal and open ceremony, religious and spiritual beliefs can be blended into the ceremony if you wish. At the end of the day it is totally up to the both of you how you wish the day to be set out. For us this seems like the perfect way to celebrate our love for one another, the freedom of choose if we want a deity involved or our loved ones in spirit to bless us. Everything about handfasting has been screaming at us for the very beginning. As we go further along in the planning we be changing and adding different bits in the ceremony to make it our own, but that is pretty much the basics of what normally go on in a typical handfasting. There are also a few books on this subject which I do hope to try and pick up at one point to see what they have to offer and see what inspiration they have to give along with other wedding books (so far there is only one sitting on the shelf (with thanks to partner) – The DIY Wedding: Celebrate Your Day Your Way by Kelly Bare).